We all accumulate "stuff". Some of us more than others. Anyone with a hobby, actually, anyone trying to meet basic needs, will at various times buy, make, inherit, borrow, create, and/or otherwise "get" things. Some of our stuff lasts a lifetime or longer, like great-grandma's ceramic hand mirror, or that wooden heirloom shoehorn, handed down for generations. But the trend towards things not being built to last, the trend towards planned obsolescence - means that things break, lose their function and become waste. For anyone switching to a low-waste or zero waste lifestyle, there can be the warm and fuzzy feeling of knowing that you haven't created any new waste in the last week or month or more. But what about all that other stuff that fills your home; belongings from the glory days when ignorance was bliss, when we bought and wasted with reckless abandon and still have a legacy of "stuff" to show for it. What about when our nylon clothes fall apart, when the washing machine breaks, when those "sturdy" plastic storage tubs snap, when the dog chews the elastane out of your slippers, when you find that drawer of old mix tapes that no-one would ever want to hear again? How do we live a zero waste life when we still live in a house containing items from our past that will at some point lose all function and become waste? Ahh, sweet regret. Why did we say yes to the crappy plastic toys that accompany those McDonalds happy meals for the kids? Why did we buy that plastic weed mat, that seems to attract weeds more than suppress them, only to create a hulking mass of plastic and unwanted plants? Why did we choose the cheaper plastic-handled frypan rather than the long-lasting cast iron one? Such is the benefit of hindsight. We can all lose our minds dwelling on past purchases, on our past adventures in wasteful frivolity. Or, we can be practical and do our best to deal with the mess we've made. Our family of five have been trying to live without (new) waste for a year now. So far we haven't created enough to fill half a rubbish bin. Leading up to that one year milestone of sorts, we reflected on what waste we still had around the house from the pre-zero waste days. And it actually amounted to quite a lot! We've been in this house for nearly 10 very busy years and raised three children and a menagerie of animals and tried to be resourceful and generally survive through life, all the while accumulating 'stuff' to help us grow and learn and live. 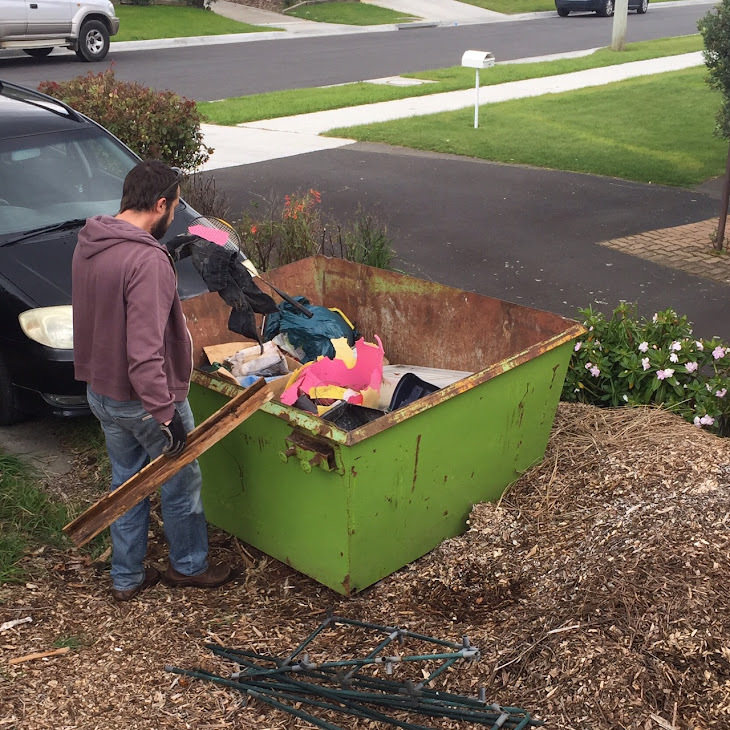 We already had a pile of 'junk' down the side of the house, long intended for a skip bin, and a bit of spring cleaning identified other odds and ends of waste around our home. As a sort of final transition of sorts, we agreed to collate our legacy waste and dispose of it as best we could - we sold some items, donated others and have retained some 'waste' items for later re-purposing (e.g. we've kept our old toilet to use as a garden plant pot, and a super-rickety cane chair to grow plants over). 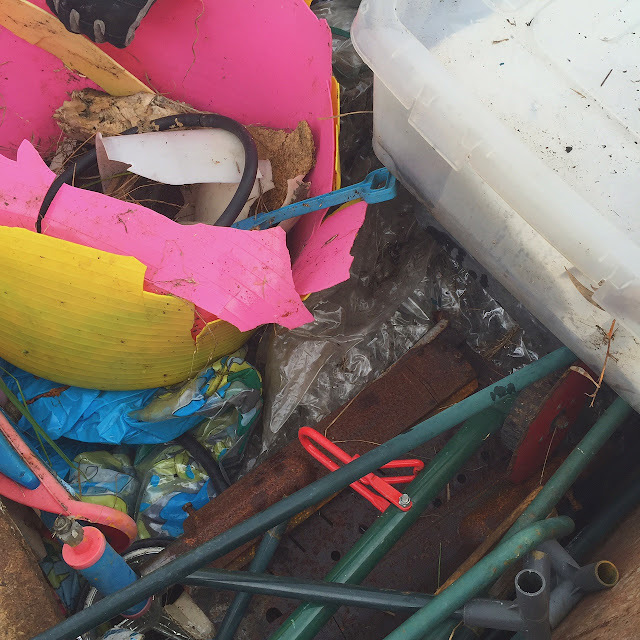 We ended up filling a small skip bin (2 cubic metres to hold 10 years of legacy waste is probably not too bad!). What did we put in it? Well some of the culprits included: old degraded weed mat, perishing and torn sheets of plastic that had covered mattresses when bought, torn kiddies inflatable wading pool, cheap laminated CD stacking shelves that we'd intended to donate but had been left in the rain and rotted, a child's car booster seat (used by all our kids, but well past its safe use condition), the rusted and twisted metal parts of a cheap plastic green house that had exploded in our back yard in a strong gust of wind, some rusted parts of an old gas barbecue (we kept the main bbq unit for a potting bench! )… mostly degraded plastics that held their desired form for only a short time, when you consider that tiny little toxic particles of that plastic will be existence on our earth for centuries. Where possible, buy to last, buy compostable, and remember to look after your 'stuff'. That includes looking after stuff in that time between when you've finished with it and when you've found a new use or home for it - leaving stuff out in the elements to weather and rot is no good to anyone (except maybe the guys on American Pickers!). One big positive for us is that our owlets are now part of the decision making process and are well aware of the consequences of our past mistakes. Hopefully this means that their legacy will be minimal and conscious choices will be their normal. Transitioning legacy waste is an important part of switching to a waste-free lifestyle. It is not necessarily something to feel guilty about, but should strengthen your resolve to 'do better' and shop smarter, and live with less waste. 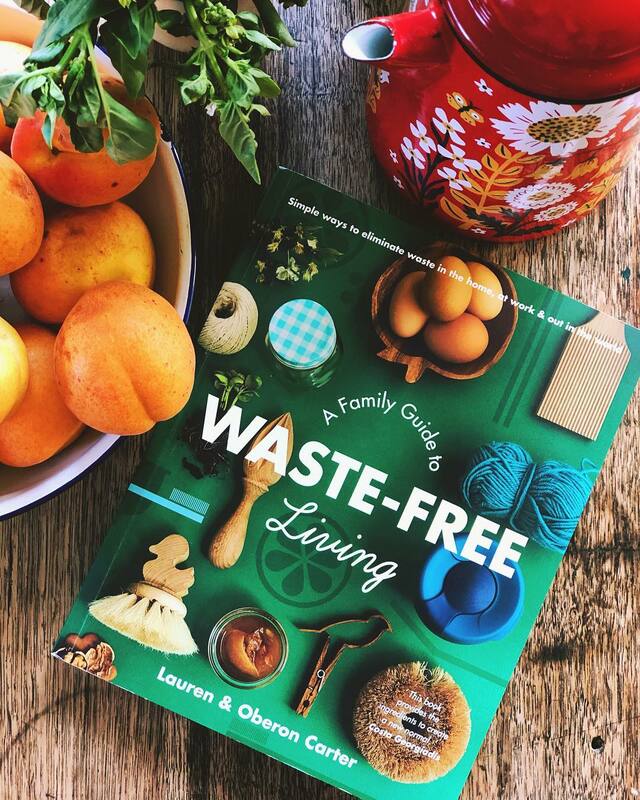 We now move into our second year of waste-free living, producing very close to zero new waste and with much less legacy waste. Over time, we anticipate that the legacy waste will drop too, as we switch away from most plastics, and clothes with nylon/acrylic parts, and stuff we realise we just don't need to live happy, abundant lives.